As a child the magic of Christmas was always in the decorations, especially ones that my brothers and sisters and I had made ourselves. Every year our mother would pull out the decorations we had made over the years and floods of great memories always came to mind. 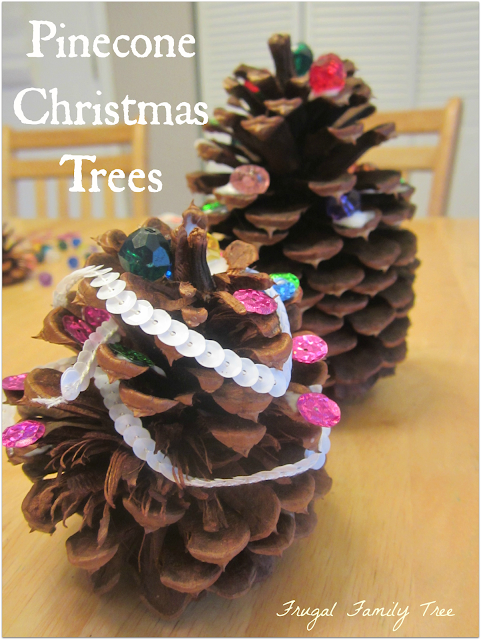 I set out to do a simple project with my little ones, something easy, fun with instant results. These Pinecone Christmas Trees were perfect for my 3 year old and almost 2 year old. A few simple supplies: pinecones (from Michaels), sparkles for the ornaments, different string choices for the garland or lights and glue. Honestly a hot glue gun would have been better but they are so young, later as the items start to fall off I will go behind them with the hot glue gun. Here they are working so hard, Ashley even moved on top of the table for a better angle! 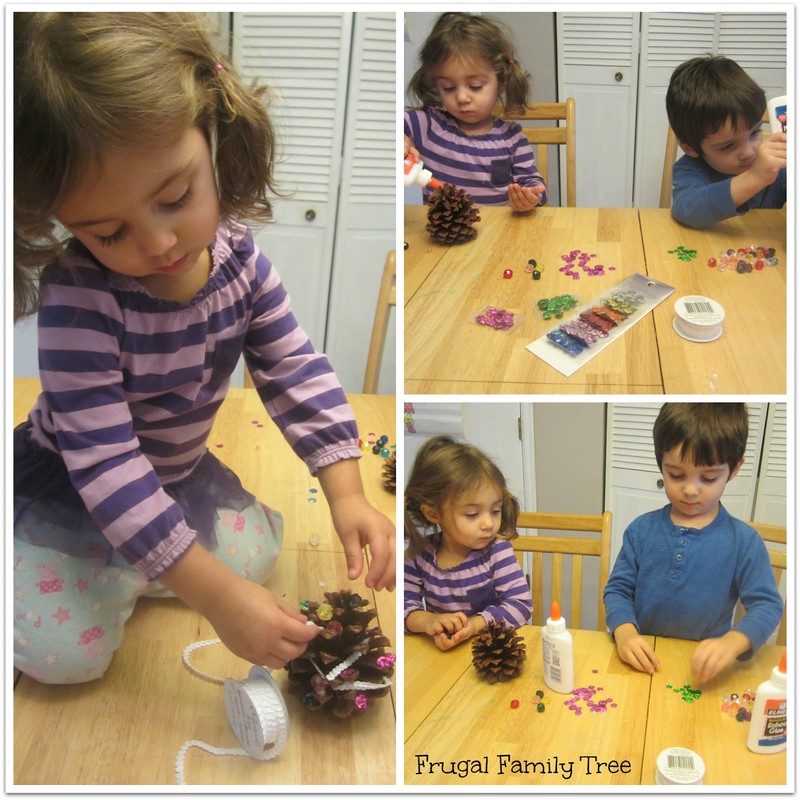 I let them do it all by their selves, they always love it when there are no rules during a craft! There was no fuss, no fighting and beautiful results. I can't wait to pull these out of the Christmas tub every year and seeing the same memories come to mind for them. I LOVE this!!! 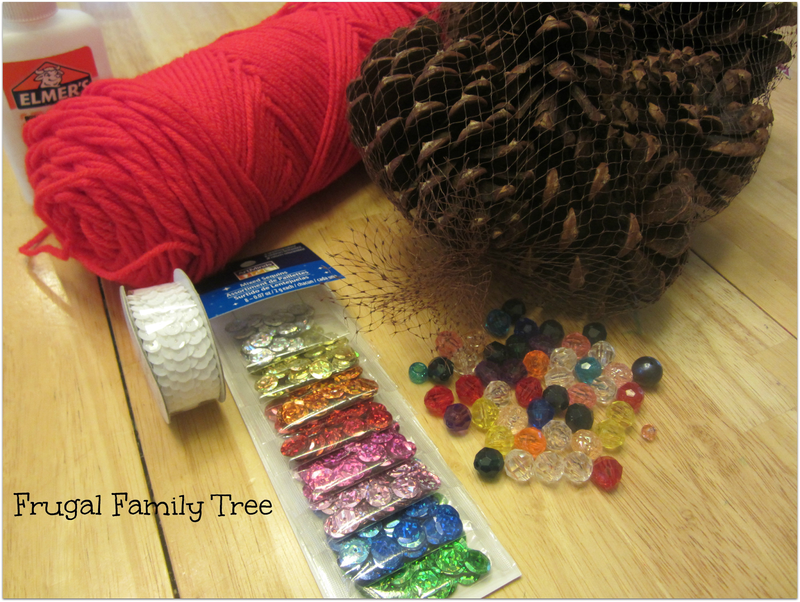 im sending hubby to michaels tomorrow to get some items for me adding this to the list! Yay glad to be of help Betty, I also go those great "ornaments" there too!